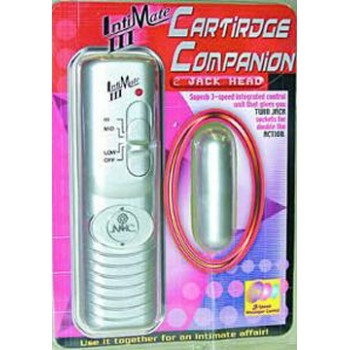 This is our most popular Intimate III brand toy. The 3 speed controller features 2 jack sockets as with the Bullet Persuasion, and All Bombed Out, however the bullet itself is 2 1/4 inches in length and 5/8 of an inch wide. It is easy to hold and has a strong vibration.